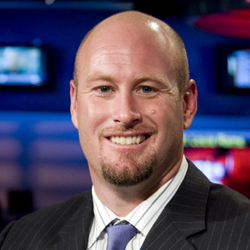 Is ESPN’s Trent Dilfer Moonlighting at Goldman Sachs? Reader Evan Keel recently brought to the attention of Bud Fox News the uncanny resemblance between Goldman Sachs CEO Lloyd Blankfein and former NFL quarterback and current ESPN commentator Trent Dilfer. But according to a Goldman employee who asked to remain anonymous, the Blankfein-Dilfer connection has actually been a closely-guarded secret at the firm since shortly after July 9, 2008, when Dilfer announced his retirement from the NFL. According to our source, that’s when Dilfer apparently began moonlighting as a body-double for Blankfein when he travels to potentially dangerous areas like the Middle East, San Francisco, or Berkeley. Bud Fox News suggests that ESPN should also take advantage of the uncanny resemblance and use Blankfein occasionally for NFL commentary. Actually, they wouldn’t even need to pass him off as Dilfer. 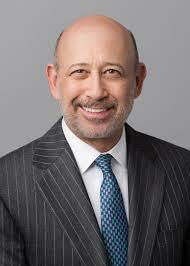 He could appear as Lloyd Blankfein because if NFL viewers won’t change the channel on Ray “White Suit” Lewis and don’t cry BS when gasbag Mike Mayock uses asinine tropes like “high-point the football” to mean “jump to catch it,” then they’ll probably listen to Lloyd and they might even learn something. This entry was posted in Sports & Leisure. Bookmark the permalink.